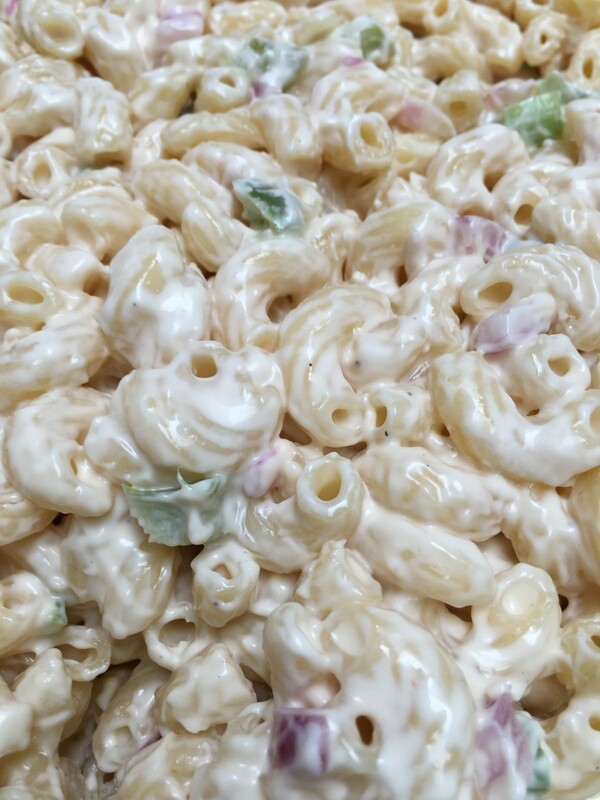 What do you think of this potato salad? Recently my mother was diagnosed with high cholesterol, and since I still live with her and cook for her, this means that I've had to change MY diet, too. 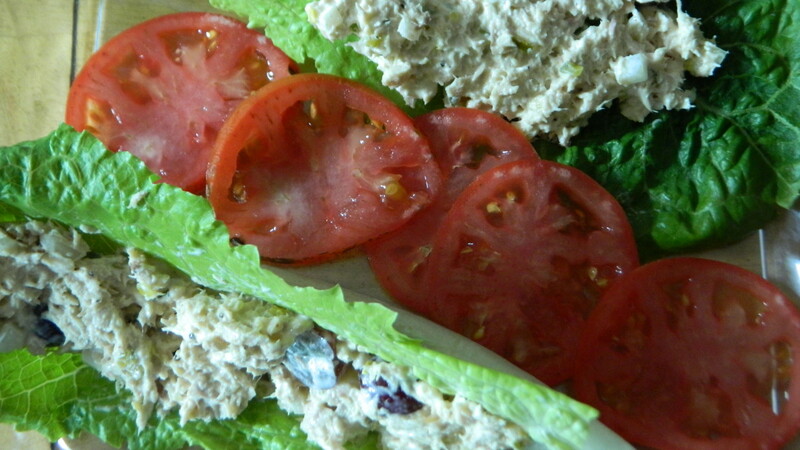 This included taking my mom's favorite potato salad recipe and giving it a revamp. 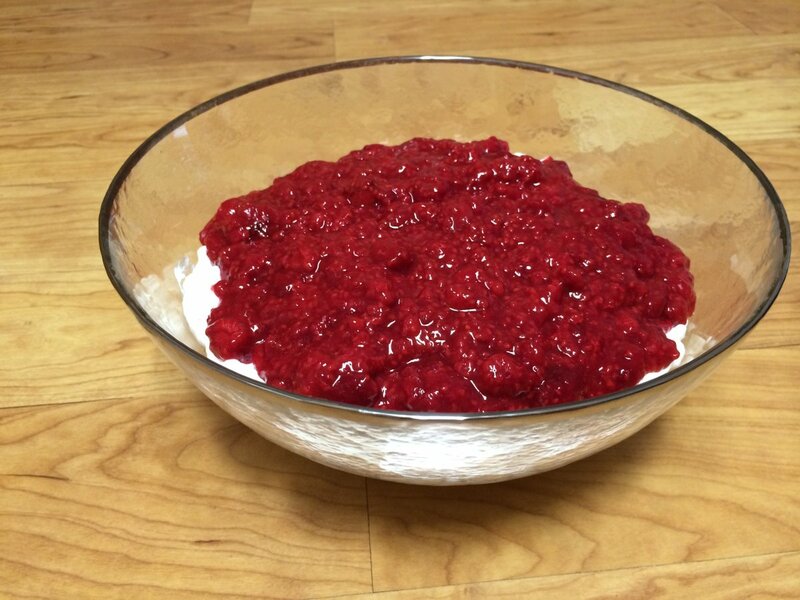 I had to take out the hard-boiled eggs we used to put in there while keeping the full-flavored taste and creamy consistency of our delicious family recipe. Instead of big, huge russets, for the flavor difference I used Yukon Gold potatoes instead, that are smaller and cook up quicker. The green onion just felt like it would go better with the creamy yukon gold taste better, so I switched from red to green. I also switched to Olive-oil based mayonnaise, which is significantly lower in cholesterol than the mayo I had previously been using for my potato salads. 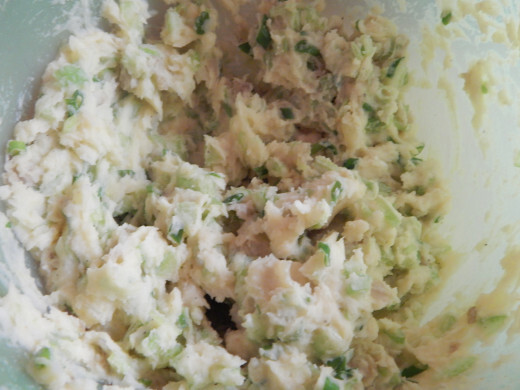 So here it is, my delicious and revamped potato salad recipe, perfect for the cholesterol-wary and normal eaters alike. I hope you all enjoy it! 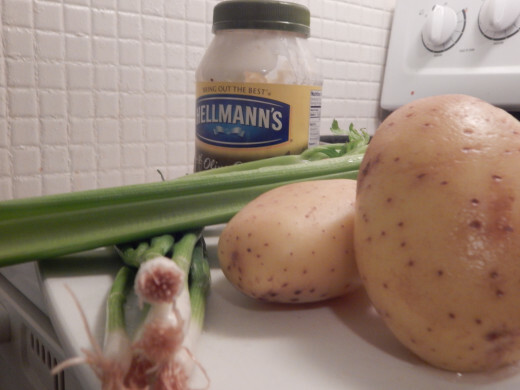 Wash the potatoes thoroughly and remove any eyes with a knife or potato peeler end. Put them in a pot of water, and bring it up to a boil. 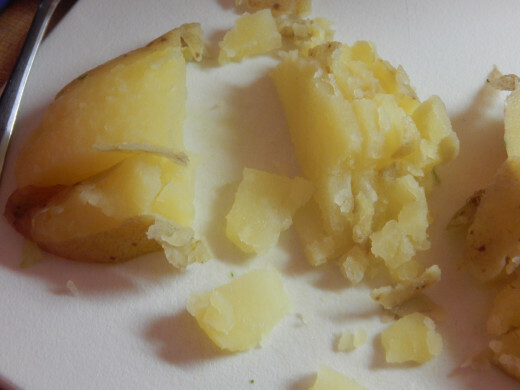 Boil potatoes for 20-30 minutes, or until you can stick a fork halfway through them and the potato slides back off. 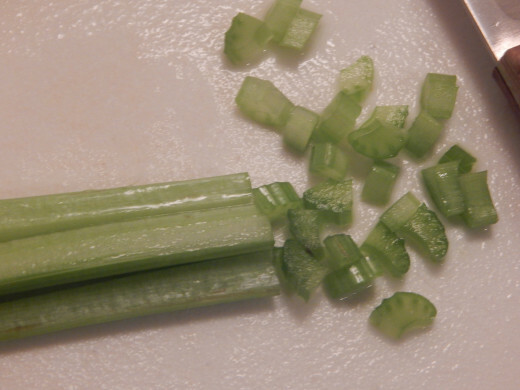 While your potatoes are cooking, finely chop your green onions, both whites and greens. If you want to get fancy, you can cut them on a bias. 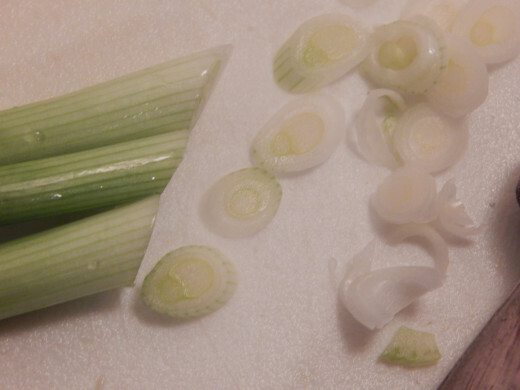 Also, chop your celery. 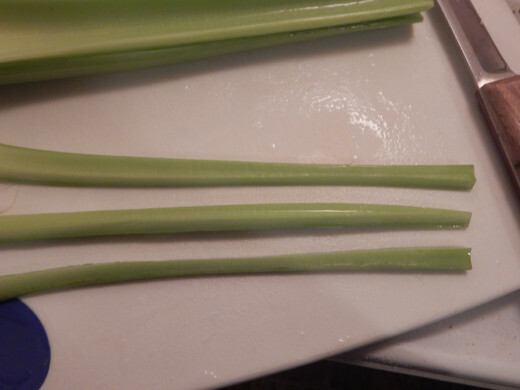 I find this easiest to do by splitting the stalk length-wise in thirds and then chopping to get little, bite-sized pieces, but you can do it however you like your celery. 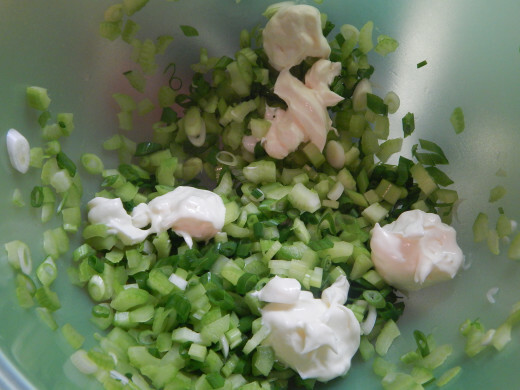 In a large bowl, mix your celery, green onions, and mayonnaise. Stir thoroughly. Season mix LIGHTLY with salt, pepper, garlic, and a dash of paprika. 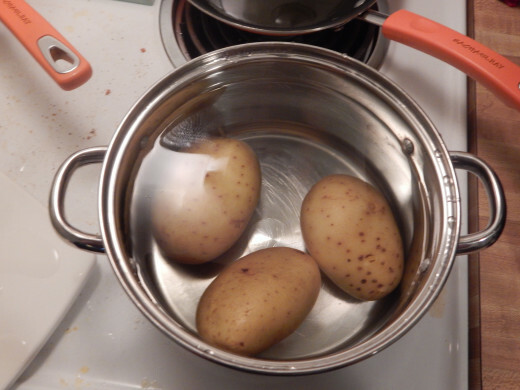 When your potatoes are done cooking, let them soak in cold water until they are cool enough to handle - do not leave them in a pan full of hot water or you will end up with fancy mashed potatoes by the end of this. Chop the potatoes into bite-sized pieces however you see fit. Using two large spoons (or a large spoon and large fork, like a serving set), incorporate the potatoes and slightly pressure them so everything gets good and gooey. It's okay if you slightly mash things, just try not to completely destroy the potatoes. This will help the potato and the seasonings incorporate. Check your seasonings, add more if needed. 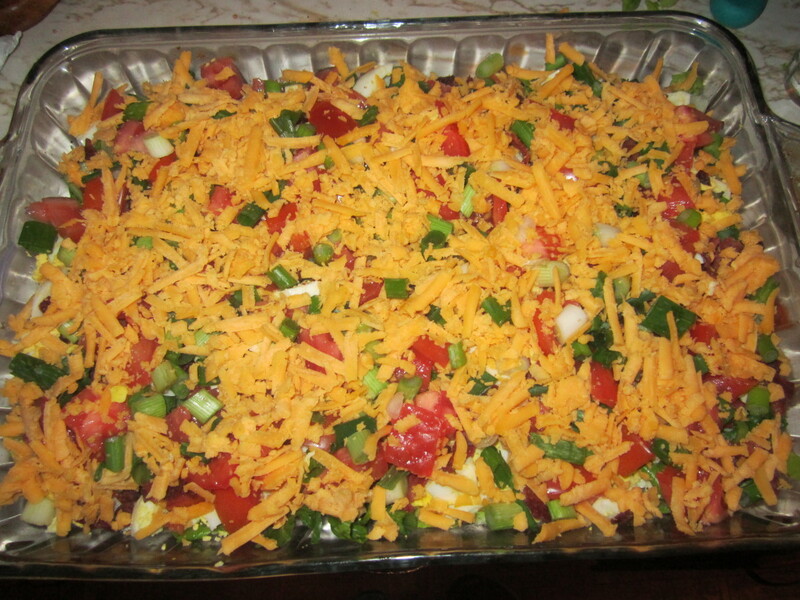 Great recipe and we love potato salad. Thanks for the tip on olive oil based mayo (I assume Hellmans is). Up, useful and interesting.